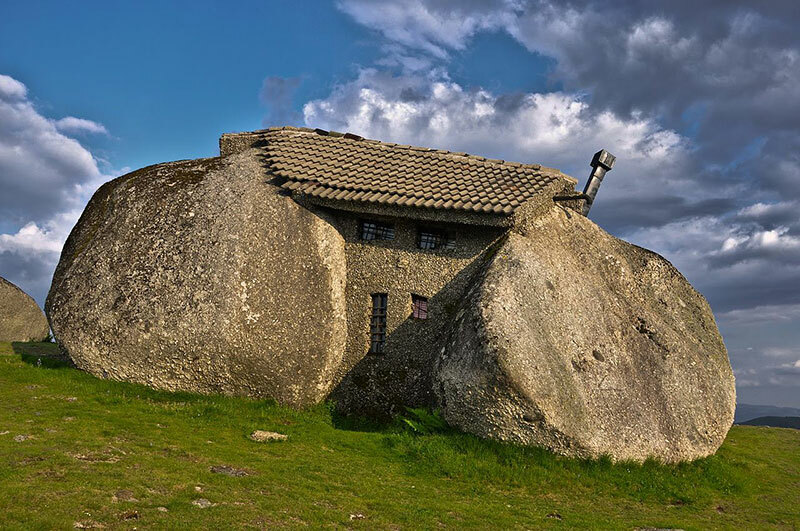 Casa do Penedo, or Stone House, is an unusual looking building constructed between four granite boulders in northern Portugal’s Fafe Mountains. 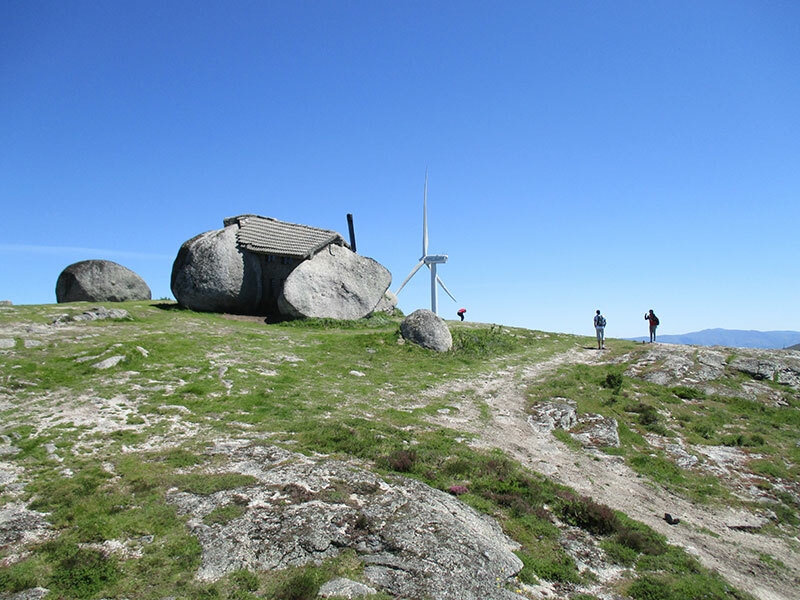 The house has a reputation as a real-life Flintstones house and is perched on a mountain at an elevation of 2,600 ft. The house was constructed in 1972 and took two years to complete. 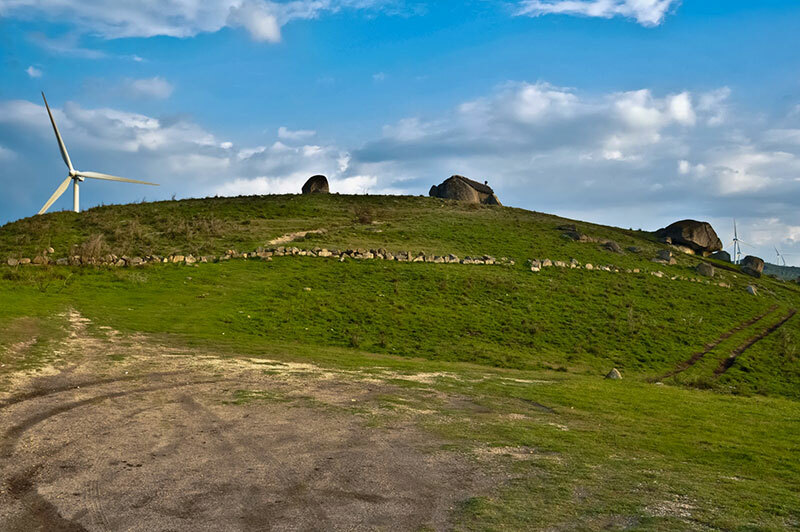 Nestled close to a wind farm, the building oddly enough doesn't have electricity but is well-equipped with a fireplace, logs for stairs, and even a swimming pool carved out of one of the boulders. 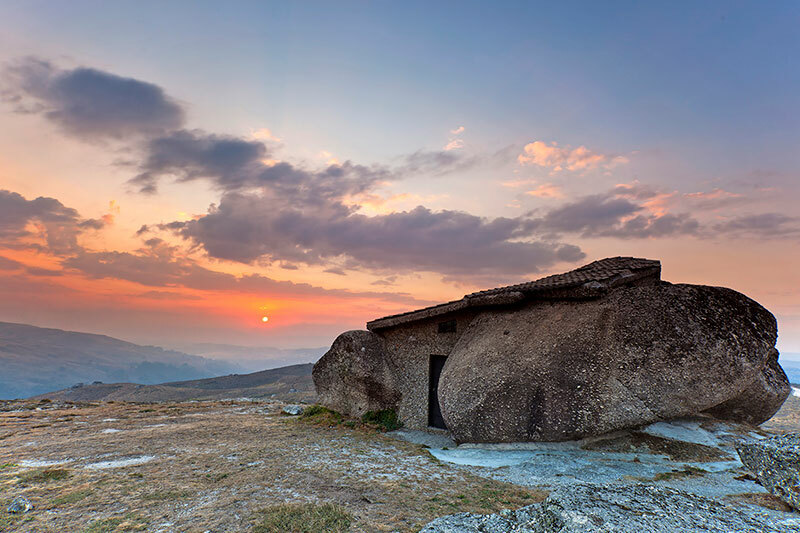 The house is presently used as a small museum of relics and photographs of Penedo's history and has become a tourist attraction due to its unusual design and integration into the surrounding landscape. 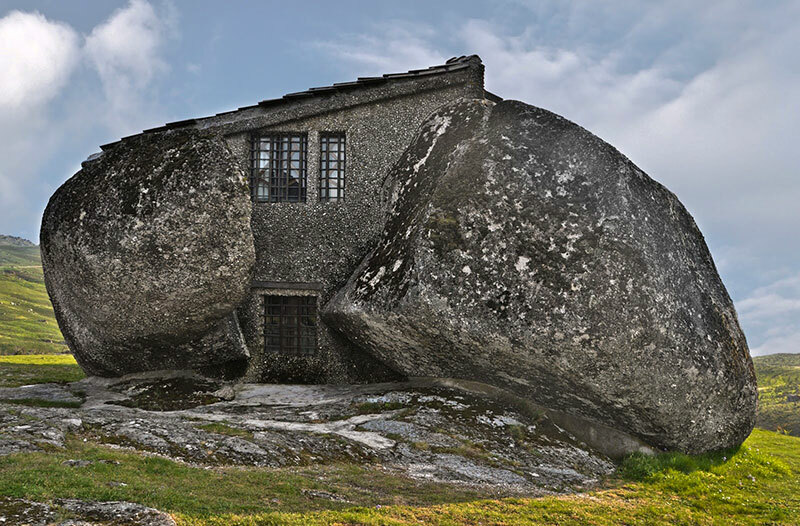 Casa do Penedo, or Stone House, is an unusual looking building constructed between four granite boulders in northern Portugal’s Fafe Mountains.